This reading group guide for Brain on Fire includes an introduction, discussion questions, and ideas for enhancing your book club. The suggested questions are intended to help your reading group find new and interesting angles and topics for your discussion. We hope that these ideas will enrich your conversation and increase your enjoyment of the book. One day, Susannah Cahalan woke up in a strange hospital room, strapped to her bed, under guard, and unable to move or speak. Her medical records—from a month-long hospital stay of which she had no memory—showed psychosis, violence, and dangerous instability. Yet, only weeks earlier she had been a healthy, ambitious twenty-four-year old, six months into her first serious relationship and a sparkling career as a cub reporter. Susannah’s astonishing memoir chronicles the swift path of her illness and the lucky, last-minute intervention led by one of the few doctors capable of saving her life. As weeks ticked by and Susannah moved inexplicably from violence to catatonia, $1 million worth of blood tests and brain scans revealed nothing. The exhausted doctors were ready to commit her to the psychiatric ward, in effect condemning her to a lifetime of institutions, or death, until Dr. Souhel Najjar—nicknamed Dr. House—joined her team. He asked Susannah to draw one simple sketch, which became key to diagnosing her with a newly discovered autoimmune disease in which her body was attacking her brain, an illness now thought to be the cause of “demonic possessions” throughout history. 1. A quote from the philosopher Friedrich Nietzsche appears at both the beginning and end of Cahalan’s memoir: “The existence of forgetting has never been proved: we only know that some things do not come to our mind when we want them to.” Why do you think Cahalan chooses to recall this quotation at both the story’s start and end? How does it correspond to Cahalan’s tale and its major themes? In addition to the content of the quotation, why is it particularly poignant that the author would choose a quote by Nietzsche to bookend her work? 2. Evaluate and discuss the style and genre of Brain on Fire. Cahalan describes the book as a memoir, but she also says that it reportage. She acknowledges using help from other sources since she has little to no memory of many of the happenings recounted in the book. In the author’s note she goes so far as to describe herself as an “unreliable source.” How does this detail affect our experience of and response to her story? What does this indicate about truth and bias in storytelling? What complex issues does it raise in our understanding of works designated as nonfiction? 3. In the author’s note, Cahalan says that her book is “a journalist’s inquiry into that deepest part of self—personality, memory, identity.” What does her story reveal about these three subjects? How does her account challenge our preconceptions of these three subjects? Alternatively, how does her account confirm or bolster what we already know and believe about these three subjects? 4. Brain on Fire is divided into three parts and fifty-three chapters. Why is this structure meaningful and important? How does it correspond to some of the major subjects and themes of the book? How does this structure affect our comprehension of the work or our emotional experience of it as readers? 5. Consider and discuss the various reactions to Cahalan’s illness as chronicled in her book. Are the responses uniform or varied? Are they expected or unexpected? What about Cahalan’s own responses to her illness and what she endures? Consider the response she recalls having while she was suffering versus her response after her treatment and recovery. What does consideration of these responses reveal about our responses to the mysterious and the unknown? 6. Consider and discuss your own reactions as readers to what you encounter on the page—at the opening of the story and as the story continues to its conclusion. How did your thoughts, feelings, and opinions change throughout? 7. In Chapter 22 (p. 83), Cahalan refers to a quote by William F. Allman’s book Apprentices of Wonder: Inside the Neural Network Revolution: “The brain is a monstrous beautiful mess.” What does Allman mean by this? What does it reveal about the workings of the brain? How does this correspond to what we find revealed in Cahalan’s book? 8. 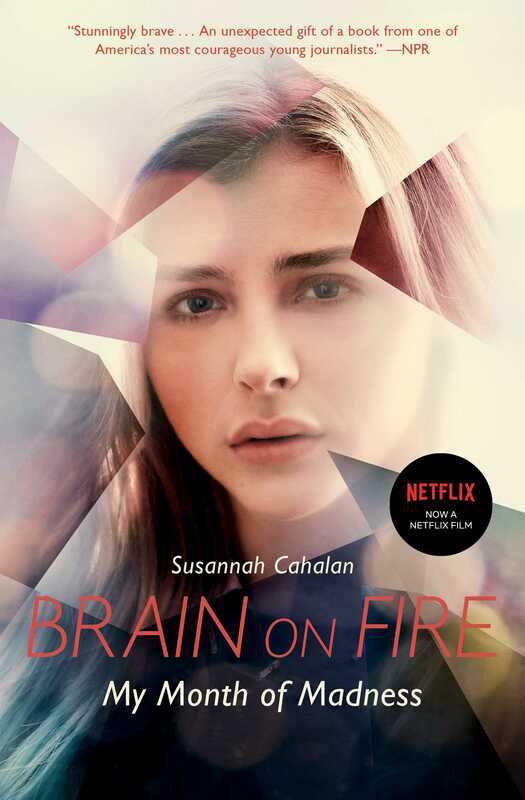 The characters in Brain on Fire—friends, family, medical personnel, and even Cahalan herself—frequently consider if she may be suffering from some form of mental illness. What does the book reveal, then, about our way of thinking about mental illness? For instance, what does Cahalan’s story suggest about the relationship between psychology and neurology? What preconceptions does it reveal about our understanding of mental illness as a society? How does this story help to highlight the necessity of compassionate responses to those who are ill? 9. Cahalan incorporates many epigraphs, quotes, and references to famous figures—Nietzsche, Aristotle, Virginia Wolff, and many others—in her story. What may be the primary reason or reasons for these being included and why are they important? 10. 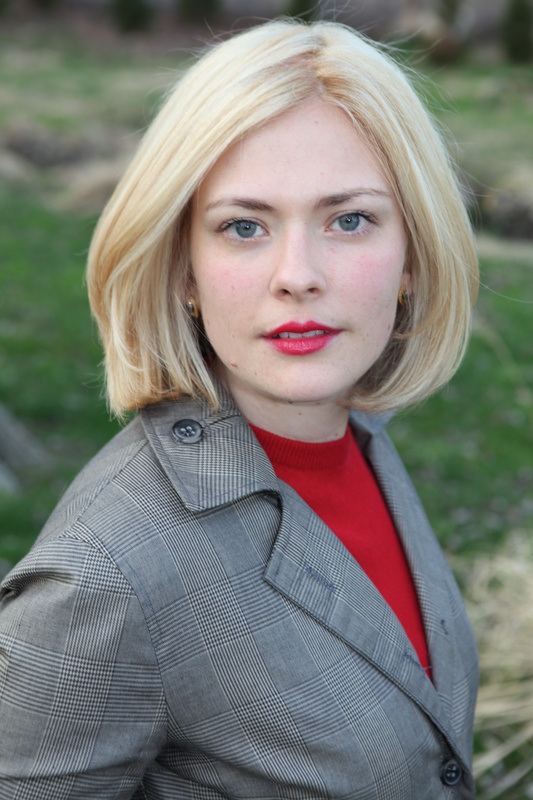 Cahalan has titled her memoir Brain on Fire. What does this title mean and where does it come from? 11. Consider the role of faith in the story—not only religious faith, but also faith defined more broadly to include support for others, faith in one’s self (think not only of Cahalan’s story but of Dr. Najjar’s story), hope and resilience. What role does faith seem to play in success and recovery both for Cahalan and those around her? 12. What are some of the reasons that Cahalan may have chosen to share her story with the public? What lessons can we ultimately learn from her unique story? 1. Write about an important experience or event in your own life. Consider how this event changed you as a person. How did others react or respond to this event? What can others learn from an account of your experience? Next, rewrite this story incorporating information from interviews of one or two people who witnessed this same event. How do the two accounts differ? How accurate is each version? Which is more believable? Does your memory of the event differ substantially from that of the subjects you interviewed? Use this exercise as a platform to initiate discussion about truth, memory, perspective, and point-of-view in literature. 2. Research and discuss other medical mysteries. You might consider sources such as Lisa Sanders’s Diagnosis column in The New York Times, which inspired the hit television show House. What do these stories have in common with Cahalan’s story? Consider and discuss your own experiences awaiting diagnosis and treatment of medical conditions. How did you and others around you react to this experience? How are these experiences like or unlike Cahalan’s experience? What can we learn by considering these experiences collectively? 3. Have a film night. You might screen episodes of the Discovery channel’s Mystery Diagnosis or the fictional drama House. What connections can you draw between these mysteries and Cahalan’s real-life medical mystery? 4. Read and discuss other works that challenge the mind-body connection. For instance, Malcolm’s Gladwell’s Blink: The Power of Thinking Without Thinking (Little, Brown, & Company, 2005) examines the brain’s ability to instantaneously interpret information. How do such works lead us to a better understanding of ourselves and our potential? What misconceptions do these works correct? What do you find reassuring about these works? Alternatively, how are these works challenging? 5. Consider Brain on Fire alongside other memoirs, comparing style, narration, structure, and other formal elements. How do the works compare and how do they differ? What issues related to truth and bias in memoir surface within these stories? What do we find most compelling about these memoirs? What do these works reveal about identity, experience, and self-reflection? In addition to what we learn about the subject of each memoir, what do these books allow us to realize about others and ourselves? What, then, does this reveal about memoir as a genre and about literature as a didactic tool? "An intense, mesmerizing account of survival. . . Cahalan's deft descriptions of her spooky hallucinations could be right out of a Poe terror tale." "The best reporters never stop asking questions, and Cahalan is no exception...The result is a kind of anti-memoir, an out-of-body personal account of a young woman's fight to survive one of the cruelest diseases imaginable. And on every level, it's remarkable.....Cahalan is nothing if not tenacious, and she perfectly tempers her brutal honesty with compassion and something like vulnerability. It's indisputable that Cahalan is a gifted reporter, and Brain on Fire is a stunningly brave book. But even more than that, she's a naturally talented prose stylist — whip-smart but always unpretentious — and it's nearly impossible to stop reading her, even in the book's most painful passages....Brain on Fire comes from a place of intense pain and unthinkable isolation, but finds redemption in Cahalan's unflagging, defiant toughness. It's an unexpected gift of a book from one of America's most courageous young journalists."